What makes a luxury watch luxurious? Home » Jewelry & Fashion » What makes a luxury watch luxurious? Luxury is transforming a functional item to an art form. The item is thus elevated to scarce availability, significantly higher value, and a symbol of economic status and reward. Luxury watches are a prime example. Most people, even those who are not watch connoisseurs, have heard of Rolex, Longines, and Omega. Those versed in haute horlogerie are familiar with or own Jaeger LeCoultre, Audemars Piguet, and Patek Philippe which can price out at $1,000,000 or more. 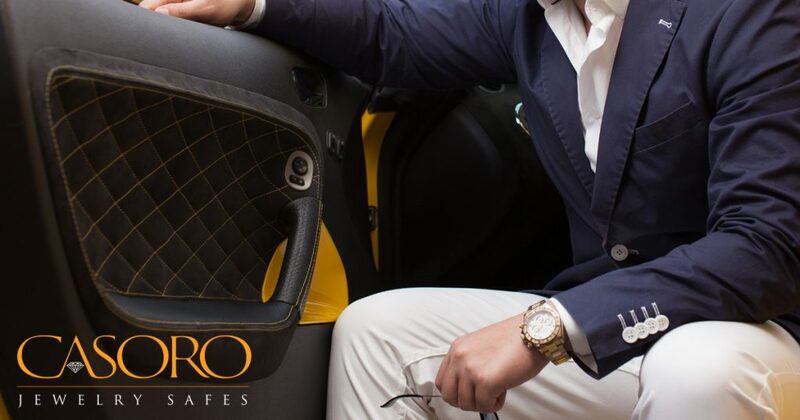 Whether it is a $10,000 watch or a $1,300,000 watch, what makes a luxury watch… luxurious? There are three types of movements: manual, quartz, and automatic. But first, what is a movement? A movement is the engine of the watch powering the turning of the hands and any other functions, or complications. The oldest form of watch power is manual, requiring daily turning of the watch’s crown to just the right level of tension. Once manually wound the mainspring creates energy that is converted to power the functions of the timepiece. The complex and intricate design of springs and gears is beautiful and extremely accurate. A quartz movement however, is the most accurate movement. This type of watch is powered by a battery and converts the vibration of the quartz mineral into time. Most luxury watches engage automatic, or self-winding movement which harnesses the kinetic energy from the wearer’s wrist. With daily 12-hr wear, this battery-less watch never needs winding. Sapphire Crystal – A watch crystal is the transparent cover protecting the face of the watch. Most watches have either a mineral glass or synthetic sapphire crystal face. The higher quality a watch is, the thicker the sapphire crystal. Sapphire crystals are more durable than mineral crystals and are less likely to scratch. Precious Metals and Stones – Whether the watch is made of titanium, gold, platinum, or comparable precious metals, the watch should be solid throughout. This also pertains to the band. Whether the band is metal or leather, the band should be constructed with as few individual pieces as possible. Metal bands should have solid links and should not sound hollow, and the same goes for locking deployment metal clasps. Minute Repeater, which rings out time through a series of chimes. Like other works of art, luxury watches are an emotional purchase between the buyer and the history of the brand and model, the eye appealing aesthetics, and the socio-economic status the watch portrays. While a luxury watch may not be first on the list for traditional ROI, the intangible returns can be significant. A luxury watch is part of the buyer’s legacy. Worn and loved, the timepiece creates its own story, and becomes a family heirloom as it is passed down to future generations.